Using patented technology called Netskope Cloud XD™, the Netskope Cloud Security Platform eliminates blind spots by going deeper than any other security providers to quickly target and control activities across thousands of cloud (SaaS and IaaS) services and millions of websites. Netskope’s customers benefit from 360-degree data protection that guards data everywhere and advanced threat protection that stops elusive attacks through having full control from 1 single cloud. Netskope has built the intelligence to allow customers to understand risky behaviours and take action to protect sensitive data, to respond and remediate incidences. Cloud XD™ uniquely and comprehensively covers all cloud and web traffic sources, including web browsers, mobile apps, and sync clients. Netskope Cloud XD identifies risky activities and the details surrounding them, such as sharing outside of the organization’s sanctioned instance or downloading confidential data to a BYO device. Instead of outright blocking in a single control point, Netskope Cloud XD™ blocks or throttles such activities, thereby enabling organizations to safely leverage on cloud and web services with relevant risks eliminated. 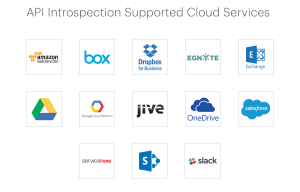 Cloud XD eliminates blind spots across all cloud and web transactions. This is achieved by providing deep visibility into cloud services and websites and gain a full understanding of how they are used in organizations, thus strengthening security initiatives such as policy development, threat protection, and incident forensics. With Cloud XD, organizations will be able to see rich information like user, group, location, device, service, destination, activity, and content in real time, across thousands of SaaS and IaaS services, and millions of websites. Netskope safely decrypts TLS-encrypted traffic to see and decode cloud and web use details. Netskope does this securely and at cloud scale, without any impact to the user experience. Want to know more on how each of our vendors can strengthen your data security? Copyright © 2011-2017 Complete Solution Finder Pte Ltd | All rights reserved.